The two most iconic & emblematic Natural Monuments in Argentina, both declared World Heritage Sites, toured in six unforgettable days. The immense glaciers in Patagonia and the spectacular Iguazú Waterfalls in the north-eastern region of the country, will leave you breathless. Reception at El Calafate airport and transfer to hotel. Accommodation. Free time. After breakfast, transfer to the airport to take the flight to Puerto Iguazú. In Puerto Iguazú, reception at the airport and transfer to hotel. Accommodation and free time. In the morning, after breakfast, depart to Half Day Excursion Waterfalls on the Brazilian side [+info]. 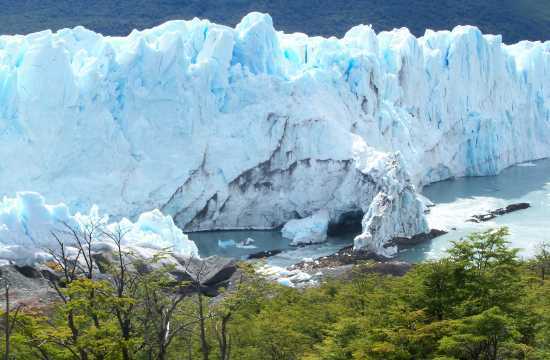 Please contact us if you wish to extend your stay in this destination or continue your trip elsewhere in Argentina! Hostería Meulén [+info], Hotel Panoramico Aikendor [+info], Arami Hotel & Lodge [+info], Jardín de Iguazú [+info], or similar. Our prices are final and comprise all transfers, lodging and excursions as detailed in the "Itinerary" and "What's Included?" tabs. Make sure you read them. Departure and arrival transfers at both destinations. 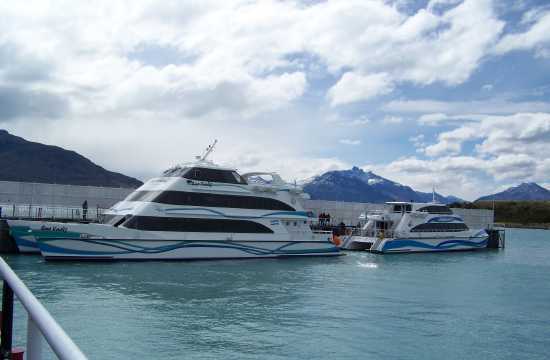 A two night hotel stay in Iguazú and three in El Calafate with breakfast. 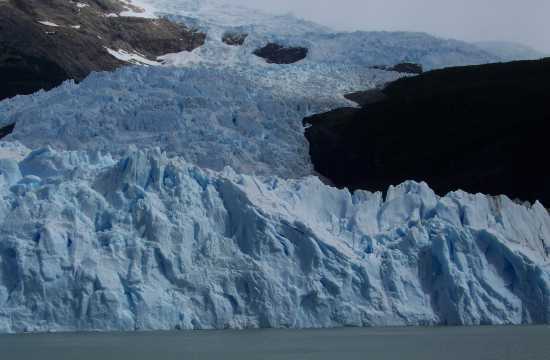 In El Calafate: visit to the Glaciers National Park, Perito Moreno Glacier and Glacier Southern Wall navigation. 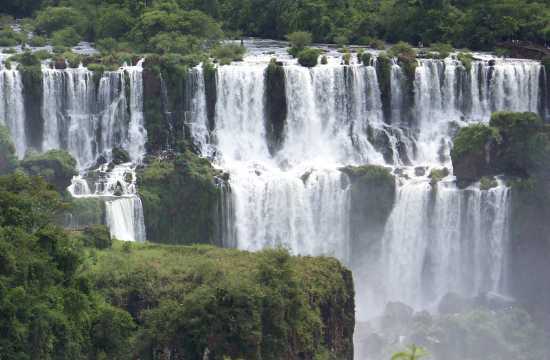 In Iguazú: visiting the Waterfalls National Park from both the Argentine and Brazilian sides (one side a day). Flights - Ask us for availability and prices. Entrance fees to the National Parks in Iguazú and El Calafate. (This package is available All year long, and departs daily). What are our Tours like? Registered at Argentina's Ministry of Tourism under Licence E.V.y T. 11986. © 2003 - 2019 La Tierra Como Solía Ser S.A. All rights reserved.